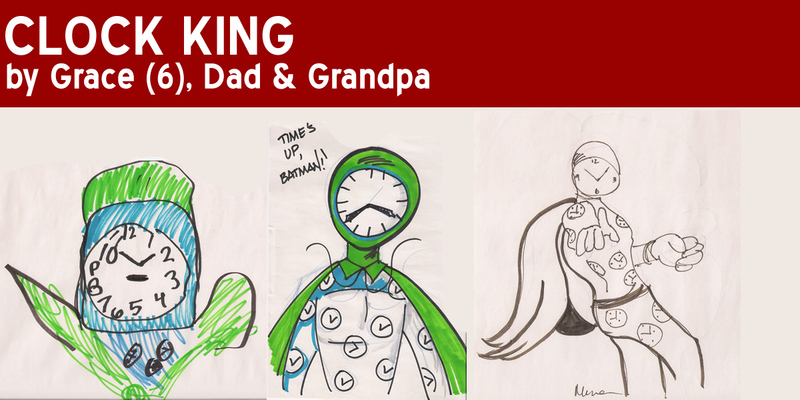 Grace wanted to draw “a bad guy with the face of a clock.” Little did she know that many years of studying the obscure corners of comics would enable me to pull out Clock King! Yeah, he’s legit. And, was featured on one of the best episodes of Justice League Unlimited, I might add. Cate hasn’t been much in the mood for superheroes lately. 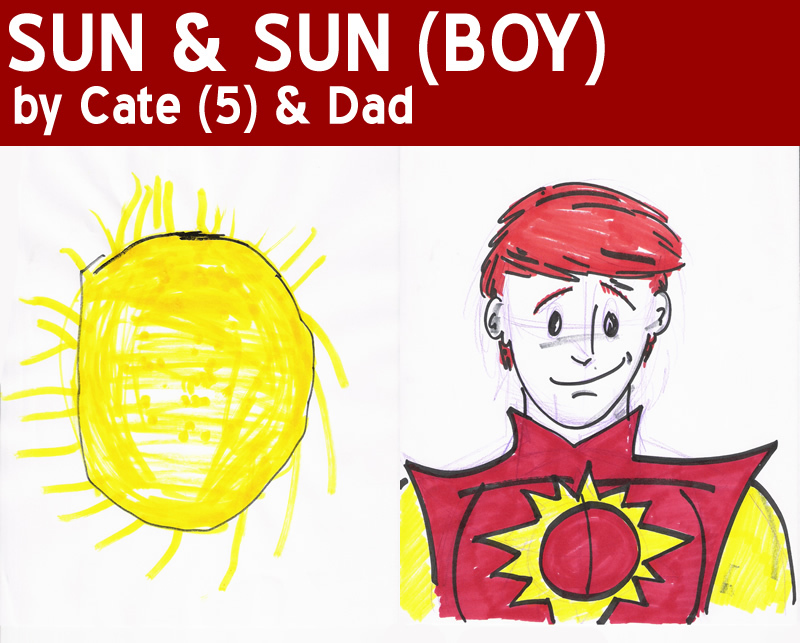 So, she chose to draw the sun. I had … other plans. Ahhhh! Classic Legion of Superheroes! P.S. Poor Hawkeye is suffering from Kate Moss’ waist in this pic. 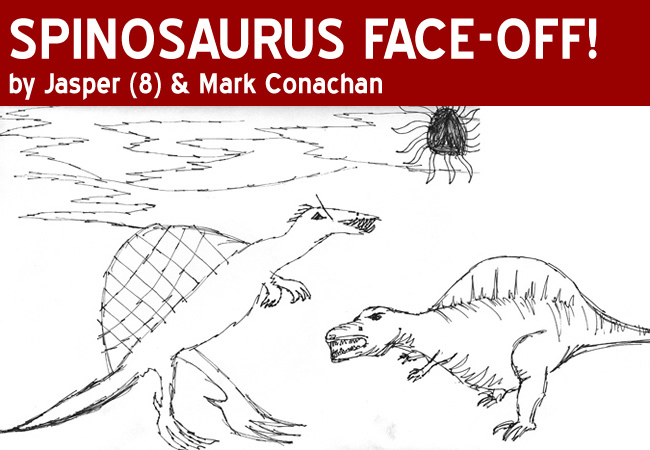 And, while we’re on the subject of monsters … Jasper and his dad, Mark, sent in another great Dino-clash! Check out Monster Isle at http://tragic-planet.com/monsterisle/ … it’s great stuff, especially for kids. I ran across your “5-minute marvels” on a blog ( http://www.liquidtreat.com/ ) a few days ago and thought my son would love it. 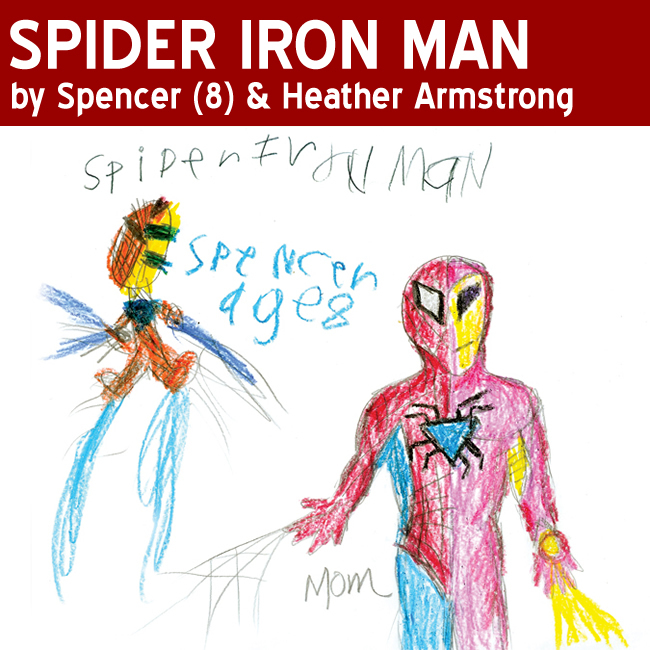 He is always drawing his favorite characters at home, at school, in the car, at restaurants…you get the idea. Anyway, I shared your project with him and he loved it. He decided to come up with a Spiderman/Ironman hybrid after seeing Captain Turtle on your site. He loved the idea of blending characters. Nice work, Spencer! Send in more! 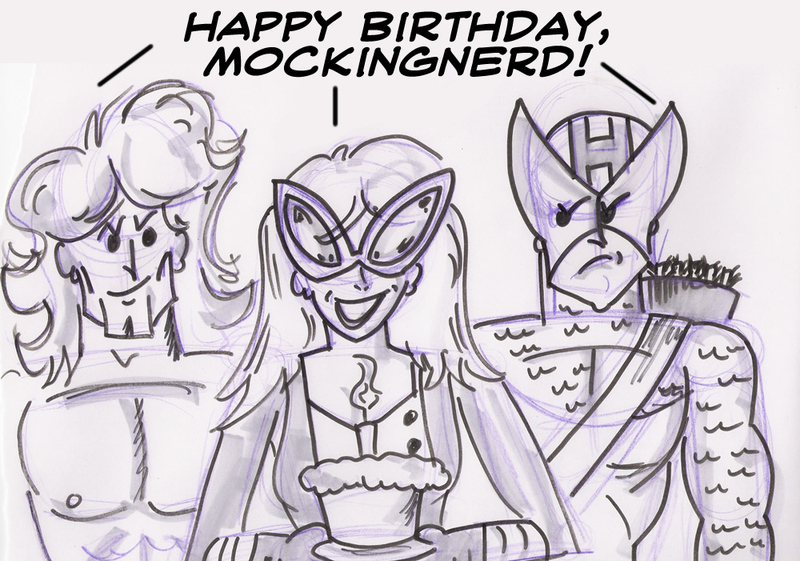 And, if anyone else has an idea for an amalgam hero … SEND THEM IN! 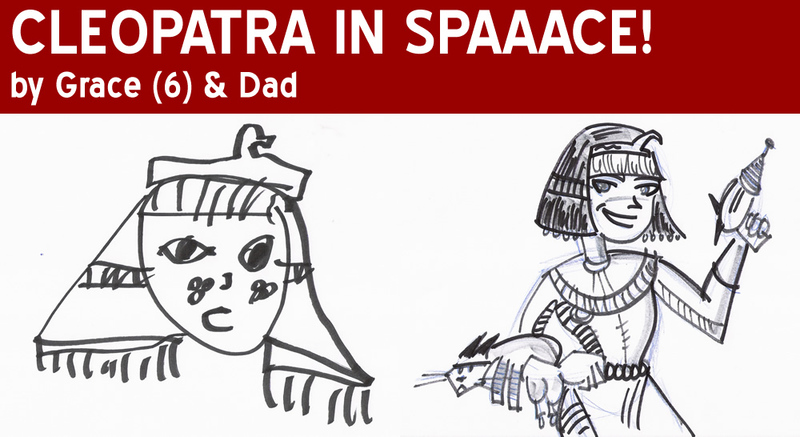 Grace absolutely loved the look of artist Mike Maihack’s Web comic, Cleopatra in Spaaace! and chose to draw the titular heroine. I love Mike’s style, reminiscent of another favorite artist Dean Trippe, with a little dollop of George Herriman. Stop what you’re doing and go to http://www.cowshell.com/cleopatra/ right now!